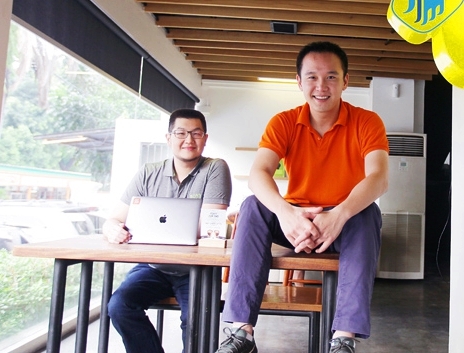 Co-founders of STOQO: Angky William and Aswin Andrison. Ever wondered what happens behind the closed doors of your favorite restaurant? Before serving a steaming plate of food, restaurant workers need to undergo a long and messy process, and it all starts from stock procurement. For small restaurant owners, their daily journey starts from going to the market at dawn, dealing with multiple suppliers — sometimes located in different locations —, bringing the ingredients on their own back to their restaurant, then preparing for the day. Not only it is tiresome, such process usually leads to non-transparent transaction that is prone to fraud (especially by their internal workers) and it also hinders the business owners to find reliable price comparisons and high quality supplies. Since its inception in 2016, STOQO has been trying to tackle that problem using technology. STOQO is a SaaS-based B2B marketplace for small culinary businesses that helps them bulk-source raw materials at reasonable prices through STOQO’s all-in-one application and services. STOQO curates suppliers, provides options for their customers, delivers on-demand, and also provides much-needed financing terms. With STOQO, small restaurant owners can cut logistic costs, have a reliable source of ingredients, and use their time, effort, and budget more effectively. STOQO was founded with the mission to empower underserved small businesses, while touching people’s lives for the better. They want to revolutionize Indonesia supply-chain by bringing transparency to the market and operational efficiency through tech ecosystem in three areas: customer and downstream distribution, upstream agriculture, and general trade modernization. But for now, STOQO is focusing on building a sticky and frequently-engaging customer-base to procure ingredients with better pricing, terms and delivery reliability. And as they scale, this predictable demand-base can be used to source from farmers, improving their livelihood and disrupting middle-men. STOQO’s journey started from a humble beginning, where Aswin had to go to the traditional market to buy supplies and personally delivered rice sacks to their two first customers using Uber cars. Now, STOQO is 80-people strong, not including their on-the-ground sales team, and caters to thousands of restaurants in Greater Jakarta region, 24 hours, 7 days a week. Starting from rice, STOQO now offers thousands of SKU, from fresh produce, meat and poultry, to plastic packaging. They also have a 24/7 customer service to help their customers through Whatsapp, SMS, and call center. In addition, STOQO’s community building also empowers current business owners and food enthusiasts through STOQO’s blog that provide tips and tricks on many aspects of the culinary business, and events involving customers and the public. This year STOQO is expanding their services, reach, team size, and quality of technology. They also took part in Alibaba and United Nations Conference on Trade and Development (UNCTAD)’s eFounder Fellowship earlier this year where Aswin spent two weeks in China to learn about China’s digital transformation in the past 20 years from Jack Ma and the early founding team of Alibaba. Learn more about STOQO here.